Thank you to all who participated in our February fundraisers for teacher training in Haiti. In February, Black and Hispanic Cultural Society sponsored a Jeans Pass, History Honor Society sponsored a Penny Challenge, Student Council sponsored Hot Chocolate for Haiti and Outreach sponsored Hearts for Haiti. Our current total for teacher training is $4,037.78. We sent $3,000.00 to sponsor our first teacher and have over $1,000.00 towards our second teacher. Look in the weekly email for future fundraising events. Tuesday, March 12 during both lunches, Model UN and Angels Over Africa will sponsor a St. Patrick's Day themed photo booth to raise funds for teacher training in Haiti. Friday, March 22nd during 1st lunch and Tuesday, March 26 during 2nd lunch Student Athletic Association will sponsor Hoops for Haiti. Thank you to all who contributed to our Catholic Schools Week Food Drive. We were able to donate over 225 food items to the Office of Concern in Englewood, NJ. Congratulations to the Sophomore Class who received ice cream sandwiches for donating the most items to our food drive. Sophomores – Commitment forms for your community service projects will be due by June 1. The forms can be downloaded from PowerSchool – click on AHA Home, Campus Ministry, Community Service Requirement. If you need ideas about what to do for community service, see the bulletin board outside the Campus Ministry Office, or the Service Opportunities page on PowerSchool or see or email Mrs. Sylvester or Mrs. Miloscia. 9th Graders – We will discuss AHA Community Service graduation requirement with you during your Religious Studies Class this quarter. At that time you will learn all about the AHA Community Service graduation requirement and we will answer any questions that you may have. 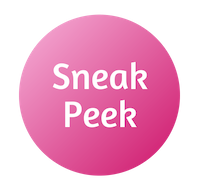 Juniors will be participating in a peer led class retreat; “Follow the Star in Your Heart” based on SSND leadership qualities seen in Mother Caroline’s life stories on Wednesday, March 13th. Please keep them in your prayers. On Tuesday, March 5, 21019 to kick off our Operation Rice Bowl drive, Outreach and the Italian Club will be sponsoring a Bake Sale and Mardi Gras mask decorating contest. All proceeds will go to our Operation Rice Bowl drive. Operation Rice Bowl will continue until April 17th. We will again be participating in the Catholic Relief Services’ “Operation Rice Bowl.” For over 40 years, Operation Rice Bowl has called participants to pray with their families and faith communities; fast in solidarity with those who hunger; learn about our global community and the challenges of poverty overseas, and give sacrificial contributions to those in need. This year’s theme is “Encounter Lent.” Each week will focus on a country that will be aided by Operation Rice Bowl and a Principle of Catholic Social Teaching. This year the countries being highlighted are: Guatemala, Uganda, Sri Lanka, Sierra Leone and Gaza. The Principles that will be highlighted are Life and Dignity of the Human Person, Option for the Poor and Vulnerable, Call to Family, Community and Participation, Rights and Responsibilities and the Dignity of Work and the Rights of Workers. Every Friday in Lent at Holy Angels is fast day. We invite our school community to fast in solidarity with those who suffer from poverty and hunger in our global family. Donation boxes will be set up in the Student Commons to donate the money that would have been spent on a dessert or treat. We invite you as a family to join us in prayer, fasting and giving alms throughout Lent by participating with us in Operation Rice Bowl. All students will receive a rice bowl to bring home to collect donations throughout Lent. Boxes should be returned to their religion teachers or the Campus Ministry Office after Easter. Each homeroom will also have a homeroom Operation Rice Bowl. Last year we raised almost $2,000.00 through Operation Rice Bowl. Our annual reconciliation service will take place on Monday, April 1, 2019. Following the prayer service students will have the opportunity for individual confessions. Project Greenhouse will be sponsoring a seed drive from March 11th - March 18th. Thank you to all who participated in our fundraisers for Teacher Training in Haiti. We have currently raised $2,568.00 for teacher training in Haiti. On February 1st Black and Hispanic Cultural Society will sponsor a Jeans Pass for Haiti. During Catholic Schools Week, February 4th – February 8th History Honor Society will sponsor a Penny Challenge for Teacher Training in Haiti. On February 11th Student Council will sponsor Hot Chocolate for Haiti and will sell hot chocolate with assorted toppings to support our Haiti fundraising efforts. On February 12th and 13th during both lunches, Outreach will sponsor Hearts for Haiti. Purchase a heart lollipop to be delivered to your friend on Valentine’s Day. Our goal is to sponsor two teachers at $3,000 each. Monday, February 4 – Friday, February 8, 2019. On Monday, February 4th we will kick off Catholic Schools Week with a Liturgy at 9:20 a.m. Most Reverend John Flesey, STD D.D., Pastor Emeritus of Most Blessed Sacrament Parish in Franklin Lakes, NJ will preside. Please pray for the Kairos team as they are hard at work preparing for the thirteenth Kairos Retreat offered at AHA. The Kairos Retreat will take place Friday, February 8 – Sunday, February 10, 2019 at the Youth Retreat Center in Kearny. Over 30 boxes of gifts were collected for the Center for Hope and Safety during our Christmas Collection. The Center for Hope and Safety (formerly known as Shelter Our Sisters) provides both housing and emotion-based therapy for each woman in need. The children of these women are also given a safe place to stay in a supportive environment. Thank you to all who contributed to make Christmas merrier for these women and children. All proceeds from our fundraising will be sent to the SSNDs and Beyond Borders to sponsor teachers for training in Haiti. Thank you to all who participated in our fundraisers for Teacher Training in Haiti. With our Alternative Gift Giving, Sno Cones, Italian Club Bake Sales, and Latin Honor Society Cookie Decorating contest, we are currently at $2,568. Watch for more fundraisers in the new year. Our goal is to sponsor two teachers at $3,000 each. On Friday, January 4, 2019 the school community will gather to celebrate the Feast of Epiphany. Rev. James Heuser, president of Don Bosco Prep, will preside. This celebration will be followed by the annual blessings of the classrooms by our administrative team. Monday, February 4 – Friday, February 8, 2019. On Monday, February 4th we will kick off Catholic Schools Week with a Liturgy at 9:20 a.m. Most Reverend John Flesey, STD D.D., pastor emeritus of Most Blessed Sacrament Parish in Franklin Lakes, will preside. Please pray for the Kairos team. They are hard at work preparing for the thirteenth Kairos Retreat offered at AHA. This retreat will take place Friday, February 8 – Sunday, February 10, 2019 at the Youth Retreat Center in Kearny. Thank you, Thank you to everyone who participated in our November Collections. 96 turkeys were donated to the NJ FoodBank. Our grand total so far is $1,509.00. We are halfway to supporting one teacher ($3,000). Our goal for the year is to support two teachers ($6,000). Please see the weekly emails for other fundraisers to support teacher training in Haiti. On December 3rd, the AHA school community will gather in prayer to mark the beginning of Advent. We will reflect on “walking in the light” and we will be challenged to think of ways to be light for others during Advent. We encourage all members of our community not to overlook the beauty and peace of the Advent season in the rush of Christmas and to think of alternative gift giving ideas like our Adopt A Teacher program in Haiti with the SSNDs and Beyond Borders. To you we say, “Come, Lord Jesus! Our next fundraising event for the Adopt A Teacher Program will take place on Wednesday, December 5th. SnoCones, sponsored by Outreach, will take place during both lunches. Purchase a SnoCone for $2 to help us sponsor 2 teachers for training in Haiti. To provide gifts to Center for Safety and Hope a shelter for abused women and their children. Students will sign up in homeroom to purchase a gift for a child. Faculty will purchase gifts for the mothers. All unwrapped gifts must be returned by Wednesday, December 12th. This is our first Liturgy of the school year, marking the 139th anniversary of the founding of our school by Sr. Nonna Dunphy. At this liturgy we will mandate 16 Eucharist Ministers for service at Holy Angels. Fr. James Heuser, SDB Director and President of Don Bosco Prep will be the main celebrant. On Friday, October 19th we will have our annual celebration of Foundation Day to celebrate the 185th anniversary of the founding of the School Sisters of Notre Dame in 1833. Local SSND sisters will be invited to renew their vows and S. Sharon Slear, SSND will speak to the student body about her experiences in Haiti. Our school community will join with millions around the world in the International Day of Peace, observed each year on September 21. We will begin our day by praying a special prayer for peace during homeroom and invite students and faculty to sign a peace pledge by our peace pole. This is our first Liturgy of the school year, marking the 139th anniversary of the founding of our School by Sr. Nonna Dunphy. At this liturgy we will mandate 16 Eucharist Ministers for service at Holy Angels. Juniors: By now you should be well on the way to completing your service projects. If for some reason you changed projects over the summer you must submit a new Community Service Commitment Form. In addition, an Evaluation form for your work must also be submitted. (See the Campus Ministry page on PowerSchool for detailed information). The reflection paper and all paperwork must be submitted by Monday, September 17, 2018. Come see Mrs. Sylvester or Mrs. Miloscia in the Campus Ministry office if you have any questions. Sophomores: You should be thinking about what you might like to do for your community service projects, and submit the Community Service Commitment to the Campus Ministry office for approval. If you have questions or would like help deciding on a project, stop by the Campus Ministry Office and speak with Mrs. Sylvester or Mrs. Miloscia. Commitment forms will be due by June 3, 2019. Freshmen: There will be presentations for all 9th graders regarding community service some time during the 2nd semester to acquaint you with our community service graduation requirement. Outreach and the Office of Concern Food Pantry in Englewood thank everyone who contributed to our cereal drive. Over 60 boxes of cereal were donated to the Office of Concern. All sophomores are reminded that their Community Service Commitment forms must be submitted to Campus Ministry for approval by June 1, 2018. Please stop by and see Mrs. Miloscia or Mrs. Sylvester if you have any questions. If you change your site where you will be volunteering over the summer email a new commitment form to Mrs. Sylvester or Mrs. Miloscia for approval. The required twenty hours of community service, reflection paper, and evaluation form must be completed by September 15th of junior year. The summer is a good time to get this work done! Please review the guidelines for this process found on the Campus Ministry PowerSchool Page. Class of 2021 – If you would like to complete your community service this summer remember to submit a Community Service Commitment Form to the Campus Ministry Office before you begin your service. If you decide on a volunteer opportunity over the summer, email a commitment form to Mrs. Sylvester or Mrs. Miloscia to receive approval. Throughout the year, Campus Ministry receives information about many volunteer opportunities. As we receive notices, we post them on our PowerSchool page (AHA Home-> Campus Ministry-> Service Opportunities). We also post them on the bulletin board outside our office. If you would like to do community service, please check the listings posted on PowerSchool or the bulletin board. Please remember our students and faculty who will attend the AHA Sponsored Summer Service Trips. June 24th to June 30th: Sra. Quinones and Sra. Fair will travel with 10 students to Puerto Rico to help with Hurricane Maria Relief Efforts. July 8th to July 14: Mrs. Miloscia and 5 students will travel to Washington, DC to participate in the Young Neighbors in Action Program. Monday- Thursday students will provide direct service to the poor and Friday students will meet with congressional representatives to discuss what they encountered in their service work. July 30th to August 1st: Faculty and students will travel to St. Peter’s School in Philadelphia as part of our on-going partnership with this SSND school to help faculty and staff prepare the school for the upcoming school year. August 5th to August 11th: Mrs. Sylvester and 5 students will travel to Nazareth Farms in West Virginia. The students will serve with other students and neighbors to address substandard housing by providing home repair during this service-retreat experience. Outreach and Campus Ministry thank everyone for their participation in Operation Rice Bowl this past Lenten Season. To date we have collected under $2,000. Thank you to all who participated. Outreach and the Office of Concern Food Pantry in Englewood thank everyone who contributed to our cereal drive. The Office of Concern will pick up all cereal on Tuesday, May 1st and we will have a final count in the June Newsletter. All our seniors will all be going on retreat on Friday, May 11, 2018, at the Archdiocesan Youth Retreat Center in Kearny, NJ. This retreat will focus on looking back at our time at Holy Angels, and looking forward to the future, recognizing the gifts we have received and looking to the challenges ahead of us. Please keep the Senior Class in your prayers. All sophomores are reminded that their Community Service Commitment forms must be submitted to Campus Ministry and approved by June 1, 2018. Please stop by and see Mrs. Sylvester and Mrs. Miloscia if you have any questions. Remember the Community Service Requirement must be completed by September 15th of junior year. The requirement includes the Commitment Form, Evaluation Form and Reflection Paper. Ninth graders are reminded that if they want to do their service over the summer, you must submit a commitment form, found on PowerSchool for approval before you begin your service. Sophomores: – Commitment forms for your community service projects will be due by Friday, June 1. 2018. The forms can be downloaded from PowerSchool – click on AHA Home, Campus Ministry, Community Service. If you need ideas about what to do for community service, stop by the campus ministry office and see Mrs. Sylvester or Mrs. Miloscia. Please note – The entire community service project is due September 17, 2018. Freshman – You heard a presentation on Community Service during Awareness Day. As a reminder, if you would like to complete your service during the summer, you must submit a commitment form to Campus Ministry for approval prior to your leaving for summer vacation, or email Mrs. Sylvester or Mrs. Miloscia during the summer. We continue our participation in Operation Rice Bowl. As of March 23rd we have collected around $1,000 to be donated to Catholic Relief Services. Individual rice bowls must be returned to the Campus Ministry Office or to your religion teacher after Easter. Our annual reconciliation service took place on Monday, March 3rd. Following the prayer service students had the opportunity for individual confessions. Our annual Easter Liturgy will be celebrated on Thursday, April 12th our presider will be Rev. Stephen Fichter pastor of St. Elizabeth of Hungary parish in Wyckoff, NJ. We are honored to have the grandparents join us at this Liturgy. AHA will be conducting a cereal drive for Office of Concern in Englewood, NJ from Monday, April 24 – Friday, April 28. The Office of Concern helps over 900 families in Bergen County each month. All cereal (hot or cold) may be brought to homeroom or left outside the Campus Ministry Office. Description: The week’s program is planned and given by­­­­­­­­­­­­­­­­­­­ the Center for Ministry Development. Monday through Thursday will be direct service at the same service site in Washington DC. On Friday students will advocate for the poor and vulnerable on Capital Hill with Congressional representatives. Participants will be housed at Bishop McNamara High School. This trip is open to rising sophomores, juniors and seniors. This trip is wonderful way for students to complete their community service requirement and learn about advocacy. Spots will fill up fast so return your completed permission slip and deposit to the Campus Ministry Office quickly. We are all aware of the devastating effects of Hurricanes Irma and Maria that resulted in mass flooding and destruction in Puerto Rico. We have adopted this as a fundraising effort for the school. The following fundraising efforts will take place in December. Our next fundraising effort for Puerto Rico, a Penny Challenge sponsored by the History Honor Society will take place next week. Remember to save your pennies to put in your grade's bottle and your bills to put in the other grade's bottles. All proceeds will benefit hurricane relief in Puerto Rico. Outreach will be sponsoring a toy drive for the Center for Hope and Safety (formerly known as Shelter our Sisters), a safe haven for abused women and their children. Students may sign up in homeroom to purchase a toy. Faculty and staff will be asked to purchase items for the mothers. All unwrapped gifts must be returned by December 13th. We are all aware of the devastating effects of Hurricanes Irma and Maria that resulted in mass flooding and destruction in Puerto Rico. We have adopted this as a fundraising effort for the school. The following fundraising efforts will take place in November. Pay a fee to purchase pretzels and dip them in chocolate, sprinkles, and other toppings. We will have our annual Thanksgiving Collection—we continue our tradition of supporting the SSNDs in their missionary efforts. Our sisters have served in Puerto Rico for many years and this year, our Thanksgiving Drive will assist those in Puerto Rico who were devastated by the recent hurricanes. We are asking students to purchase a jeans pass for November 16th to help support this drive. Similar to a party photo booth. Pay $2 per person to have your picture taken with halos and/or wings. Pay $3 to put your handprints on canvas to be displayed at AHA and help with Hurricane Relief in Puerto Rico. Each year, just as the harvest is finished in much of the world, Christians keep their own harvest feast – God’s harvest, the harvest of the Saints – on the first day of November. We begin this day on the holy vigil of All Saints, Halloween. We continue the harvest feast, on the day to remember the dead – November 2, All Souls – and on through the month of November. We pause to remember so that we won’t forget. Here at Holy Angels, we will have a Book of Remembrance in the Main Lobby of the school in which we will invite everyone in our community and visitors to our school to inscribe the names of deceased loved ones to be remembered in prayer. This year we will also have a digital picture frame displaying pictures of deceased loved ones. We invite those in our community to submit pictures (jpeg format, please) of their loved ones to ksylvester@holyangels.org or mmilosica@holyangels.org to have them included. Faculty/Staff: tuna or condiments: catsup, mayo, mustard, etc. Please keep the sophomore class in your prayers. On November 9, our sophomore class will participate in a social justice retreat focusing on the issue of hunger, facilitated by seniors in Ms. Carol Fay's Peacemaking classes. The retreat will take place at the Archdiocesan Youth Retreat Center in Kearny. November 14 - Bring a Turkey to School! On Tuesday, November 14, AHA will hold its annual Turkey Drive for the New Jersey Food bank. A freezer truck from the NJ Food Bank will be at our school at 7:15 a.m. We invite our students to bring a Frozen Turkey to School! Spirit points will be awarded to the grade with the largest percentage of participation. Please pray for the Kairos team as they are hard at work preparing for the tenth Kairos Retreat offered at AHA. The Kairos Retreat will take place Friday, November 17, 2017 to Sunday, November 19, 2017 at the Archdiocesan Youth Retreat Center in Kearny, NJ. This is our first Liturgy of the school year, marking the 138th anniversary of the founding of our School by Sr. Nonna Dunphy. At this liturgy we will mandate 17 Eucharist Ministers for service at Holy Angels and dedicate S. Genevieve Kelleher Hall. Most Reverend John W. Flesey, pastor of Most Blessed Sacrament Parish in Franklin Lakes, NJ will be the main celebrant. Trick or Treat for UNICEF Students who would like to participate should come to the Campus Ministry office to pick up an individual Trick-or-treat for UNICEF box. Individual boxes must be returned by Thursday, November 2nd. Bake Sale – Thursday, October 12th and Friday, October 13th during both lunches. 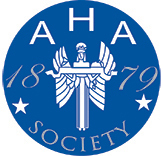 Basket Raffle – Monday, October 16th – Friday, October 27th – The basket will include AHA Gear. On September 27th our 9th graders will go on their retreat entitled "We Live in Community" at the Archdiocesan Youth Center in Kearny. The retreat will feature community building activites, prayer and reflection time. This is our first Liturgy of the school year, marking the 138th anniversary of the founding of our School by Sr. Nonna Dunphy. At this liturgy on October 2nd, we will mandate 17 Eucharist Ministers for service at Holy Angels and dedicate Sr. Genevieve Kelleher Hall. Most Reverend John W. Flesey, pastor of Most Blessed Sacrament Parish in Franklin Lakes, NJ will be the main celebrant. Juniors: By now you should be well on the way to completing your service projects. If for some reason you changed projects over the summer you must submit a new Community Service Commitment Form. In addition, an Evaluation form for your work must also be submitted. (See the Campus Ministry page on PowerSchool for detailed information). The reflection paper and all paperwork must be submitted by September 15, 2017. Come see Mrs. Sylvester or Mrs. Miloscia in the Campus Ministry office if you have any questions. Sophomores: You should be thinking about what you might like to do for your community service projects, and submit the Community Service Commitment to the Campus Ministry office for approval. If you have questions or would like help deciding on a project, stop by the Campus Ministry Office and speak with Mrs. Sylvester or Mrs. Miloscia. Commitment forms will be due by June 1, 2018. Outreach and Campus Ministry thank everyone for their participation in Operation Rice Bowl this past Lenten Season. To date we have collected over $2,500. A final amount will be in the June Newsletter. Outreach and the Office of Concern Food Pantry in Englewood thank everyone who contributed to our cereal drive. The Office of Concern will pick up all cereal on Tuesday, May 2nd and we will have a final count in the June Newsletter. All our seniors will all be going on retreat on Monday, May 15, 2017, at the Archdiocesan Youth Retreat Center in Kearny, NJ. This retreat will focus on looking back at our time at Holy Angels, and looking forward to the future, recognizing the gifts we have received and looking to the challenges ahead of us. Please keep the Senior Class in your prayers. Our Ascension Thursday Liturgy will take place on Thursday, May 25, 2017. Rev. Bartley Baker parochial vicar at St. Francis Church in Ridgefield Park, NJ, will preside. All sophomores are reminded that their Community Service Commitment forms must be submitted to Campus Ministry and approved by June 1, 2017. Please stop by and see Mrs. Sylvester and Mrs. Miloscia if you have any questions. Remember the Community Service Requirement must be completed by September 15th of junior year. The requirement includes the Commitment Form, Evaluation Form and Reflection Paper. Ninth graders: If you want to do your service over the summer, you must submit a commitment form, found on PowerSchool for approval before you begin your service. Sophomores: Commitment forms for your community service projects will be due by Thursday, June 1. 2017. The forms can be downloaded from PowerSchool – click on AHA Home, Campus Ministry, Community Service. If you need ideas about what to do for community service, stop by the campus ministry office and see Mrs. Sylvester or Mrs. Miloscia.Please note – The entire community service project is due September 15, 2017. Freshman: You heard a presentation on Community Service during Awareness Day. As a reminder, if you would like to complete your service during the summer, you must submit a commitment form to Campus Ministry for approval prior to your leaving for summer vacation, or email Mrs. Sylvester at ksylvester@holyangels.org or Mrs. Miloscia at mmiloscia@holyangels.org during the summer. We continue our participation in Operation Rice Bowl. As of March 24th we have collected just under $600.00 to be donated to Catholic Relief Services. Individual rice bowls must be returned to the Campus Ministry Office or to your religion teacher after Easter. Our annual reconciliation service took place on Monday, March 27th. Following the prayer service students had the opportunity for individual confessions. Our annual Easter Liturgy will be celebrated on Wednesday, April 26th our presider will be Rev. Stephen Carey pastor of St. Mary’s parish in Dumont, NJ. We are honored to have the grandparents join us at this Liturgy. The French Club for their bake sale. The individual faculty and staff members who made donations. Thank you to all who contributed to our 3rd annual Souper Bowl. We were able to donate over 300 cans of soup to the Center for Food Action in Englewood, NJ. Sophomores – Commitment forms for your community service projects will be due by June 1. The forms can be downloaded from Haiku – click on AHA Home, Campus Ministry, Community Service. If you need ideas about what to do for community service, stop by the campus ministry office and see Mrs. Sylvester or Mrs. Miloscia. 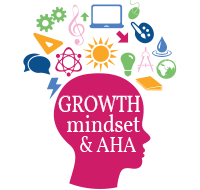 9th Graders – We will discuss AHA Community Service graduation requirement with you during Awareness Day. At that time you will learn all about the AHA Community Service graduation requirement and we will answer any questions that you may have. Juniors will be participating in a peer led class retreat; “Follow the Star in Your Heart” based on SSND leadership qualities on Thursday, March 16th. Please keep them in your prayers. Thank you for your prayers we had a successful Kairos IX Retreat on February 10th -12th. We will again be participating in the Catholic Relief Services’ “Operation Rice Bowl.” For over 40 years, Operation Rice Bowl has called participants to pray with their families and faith communities; fast in solidarity with those who hunger; learn about our global community and the challenges of poverty overseas, and give sacrificial contributions to those in need. This year’s theme is “Encounter Lent.” Each week will focus on a country that will be aided by Operation Rice Bowl and a Principle of Catholic Social Teaching. This year the countries being highlighted are: India, Zambia, El Salvador, Mexico, Ethiopia and the Diocese of Honolulu here in the United States. The Principles that will be highlighted are Option for the Poor, Sacredness and Dignity of the Human Person, Dignity of Work and Rights of Workers, Call to Family, Community and Participation and Care for Creation. Every Friday in Lent at Holy Angels is fast day. We invite our school community to fast in solidarity with those who suffer from poverty and hunger in our global family. Donation boxes will be set up in the Student Commons to donate the money that would have been spent on a dessert or treat. We invite you as a family to join us in prayer, fasting and giving alms throughout Lent by participating with us in Operation Rice Bowl. All students will receive a rice bowl to bring home to collect donations throughout Lent. Boxes should be returned to their religion teachers or the Campus Ministry Office after Easter. Each homeroom will also have a homeroom Operation Rice Bowl. Our annual reconciliation service will take place on Monday, March 27, 2017. Following the prayer service students will have the opportunity for individual confessions. Juniors: By now you should be well on the way to completing your service projects. If for some reason you changed projects over the summer you must submit a new Community Service Commitment Form. In addition, an Evaluation form for your work must also be submitted. (See the Campus Ministry page on Haiku for detailed information). The reflection paper and all paperwork must be submitted by November 15th. Sophomores: You should be thinking about what you might like to do for your community service projects, and submit the Community Service Commitment to the Campus Ministry office for approval. If you have questions or would like help deciding on a project, stop by the Campus Ministry Office and speak with Mrs. Sylvester or Mrs. Miloscia. Commitment forms will be due on June 1, 2017. As of January 27th our Hope for Haiti fundraisers have raised just under $5,000. We only need a little more to reach our goal of sponsoring 3 Haitian families. Please join us on Sunday, February 5th from 8am-10am at Applebee’s in Paramus (Route 17 North at Ridgewood Ave.) for a pancake breakfast to raise funds for Hurricane Matthew relief. Tickets are $11 per person for a pancake and egg breakfast. SSND’s from Wilton and AHA will join us for this event. Tickets may be purchased through the Camus Ministry Office, during homeroom or during lunches at AHA or by returning the order form found here. Any questions, contact Maryanne Miloscia at 201-768-7822 Ext. 563 or mmiloscia@holyangels.org. As of the deadline for this newsletter we received the following information about the two families we have sponsored. With a successful Flapjack Sunday fundraiser we hope to sponsor another family. To date, we have sponsored two families! Last week we received some information about our families. Family #1 The Cheler Family: Live in the rural village of Tikoma on Lagonav Island. Kathia Cheler, the mother has two children. Her partner/spouse does sharecropping to provide support for the family. Even before the Hurricane Matthew they lived in very poor conditions. There were 4 people living in a very simple home with four rooms, cinderblock walls and a dirt floor. They had no electricity, no indoor plumbing, they got their drinking water from a well with a hand pump. Hunger was a constant reality for the Cheler family even before the hurricane, when food was available they often ate the same thing day after day. Kathia, often cut back on what she ate, skipping meals so the others could eat, but often even that was not enough the family would go one or more days with no food. With our help a new home has been completed for them with a well-constructed latrine. For the duration of the program, 18 months, they now have a weekly stipend that ensures that everyone is eating consistently. They also have a water purification system for their home and have been instructed on the importance of purifying their drinking water. They have an allowance for free health and medical care. Because of our support the two children will be able to complete primary school will be able to obtain the silks necessary to avoid living in domestic servitude. They have also have been given livestock as a primary way to earn a living. Hopefully all of this will put them on the road to future with more security, as they will be able to build at least two or three forms of income from the livestock. Family # 2 the Francios Family: Live in the rural village of Nan Kafe on Lagonav Island. Even before the hurricane, the Francios family was one of the poorest families in Nan Kafe. There were nine people living in a very simple home with two rooms, a tin roof, wattle and daub walls and a dirt floor. They had no indoor plumbing or electricity. They were very vulnerable to Hurricane Matthew. Meprisane Francios, the mother has seven children, even before the hurricane she struggled to keep them in school and hunger was a constant reality for this family. Her spouse/partner farms and provides half of the support for the family. With our help, construction will begin shortly on a new home for them, and they will have a water purification system and a latrine. They will receive the same assistance as the Cheler famly, which means they will have access to medical care, a stipend for food and they will be able to send their children to school. Livestock will be given to them which will hopefully reproduce and add to their livelihood. And the ability to keep all their school-aged in school and free from domestic servitude. We will be conducting our own Souper Bowl here at AHA. All students, faculty and staff are asked to bring in canned soup during the week leading up to Super Bowl. All soup will be donated to the Office of Concern in Englewood, NJ. The homeroom with the most soup collected will win a bagel breakfast. Please pray for the Kairos team as they are hard at work preparing for the ninth Kairos Retreat offered at AHA. The Kairos Retreat will take place Friday, February 10, 2017 – Sunday, February 12, 2017 at the Archdiocesan Youth Center in Kearny, NJ. To help kick off our Lenten Season, which begins on Ash Wednesday, March 1st , Outreach will sponsor a Mardi-Gras Bake Sale during both lunches. Italian Club will also sell Italian Subs and cannoli to celebrate Carnevale. Come and have some fun, and purchase a sub or baked good. All proceeds will go towards Operation Rice Bowl. Sophomores: You should be thinking about what you might like to do for your community service projects, and submit the Community Service Commitment to the Campus Ministry office for approval. If you have questions or would like help deciding on a project, stop by the Campus Ministry Office and speak with Mrs. Sylvester or Mrs. Miloscia. Commitment forms will be due by June 1, 2017. We are all aware of the devastating effects of Hurricane Matthew in Haiti. Some have asked what we can do as a school to help. The School Sisters of Notre Dame have partnered with an organization called Beyond Borders which already has a presence in Haiti. Beyond Borders has committed to accompanying 100 Haitian families for the next 18 months, making sure that their houses are rebuilt, that they have safe drinking water and sanitation, that they get livestock or other goods and the training that they need to be able to begin generating an income. The cost will be $100 a month or $1800 for the full year and a half. Our fundraising efforts will start in November. All proceeds from our fundraising will be sent to the SSNDs and Beyond Borders to sponsor families in Haiti. Christmas Gift Collection – Over 330 gifts were collected for the Center for Hope and Safety during our Christmas Collection. The Center for Hope and Safety (formerly known as Shelter Our Sisters) is. The Center for Hope and Safety provides both housing and emotion-based therapy for each woman in need. In addition, however, the children of these women are also given a safe place to stay in a supportive environment. Thank you to all who contributed to make Christmas merrier for these women and children. Feast of Epiphany - On January 6th the School Community will gather to celebrate the Christmas Season by celebrating the Feast of Epiphany. Rev. Bob Stagg, pastor of The Church of the Presentation, Upper Saddle River, NJ will preside. This celebration will be followed by the annual blessings of the classrooms by our Administrative team. Catholic Schools Week – Monday, January 30 – Friday, February 3, 2017. On January 30th we will kick off Catholic Schools Week with a Liturgy at 9:20 a.m. Rev. Stephen Fichter, pastor of Sacred Heart Church, Haworth, NJ will preside. Kairos IX – Please pray for the Kairos team as they are hard at work preparing for the ninth Kairos Retreat offered at AHA. The Kairos Retreat will take place Friday, February 10 – Sunday, February 12, 2017 at the Youth Retreat Center in Kearny. Fall Food Drive – Over 26 boxes of items were donated to the Office of Concern in Englewood. The need is great since the Office of Concern now assists 900 families in our area. Turkey Drive – 111 turkeys were donated to the NJ FoodBank. All proceeds from our fundraising will be sent to the SSNDs and Beyond Borders to sponsor families in Haiti. Thanks to the French Club Bake Sale and an individual donation we raised almost $200 more. Our grand total so far is $3,150.35. Thanks to the Haiti fundraising committee, Model UN and the History Honor Society for all their help with our fundraising efforts. We are almost at our goal to support two Haitian families for the next 18 months. With more fundraising to come can we sponsor three families? Season of Advent: On November 28th the AHA school community gathered in prayer to mark the beginning of Advent. We reflected on Mary and her “waiting in hope.” We are challenged to be like Mary, God –bearers for our world. We encourage all members of our community not to overlook the beauty and peace of the Advent season in the rush of Christmas. Annual Senior Christmas Tree Lighting and Blessing will take place. Outreach Toy Drive: To provide gifts to Center for Safety and Hope a shelter for abused women and their children. Students will sign up in homeroom to purchase a gift for a child. Faculty will purchase gifts for the mothers. All unwrapped gifts must be returned by Friday, December 9th. Juniors: By now you should be well on the way to completing your service projects. If for some reason you changed projects over the summer you must submit a new Community Service Commitment Form. In addition, an Evaluation form for your work must also be submitted. (See the Campus Ministry page on Haiku for detailed information). The reflection paper and all paperwork must be submitted by November 15, 2016. Come see Mrs. Sylvester or Mrs. Miloscia in the Campus Ministry office if you have any questions. Halos for Haiti: Our 1st fundraiser for Haiti Relief! October 31, 2016 – Similar to a party photo booth. Pay $2 per person to have your picture taken with halos and/or wings. November 8, 2016 – Pay $3 to put your handprints on canvas to be displayed at AHA and also at Wilton, CT.
November 14, 2016 - November 16, 2016 - We will have our annual Thanksgiving Collection—we continue our tradition of supporting an SSND sponsored program. Our Thanksgiving Drive this year will assist the work of SSNDs and Beyond Borders for Haiti Relief after Hurricane Matthew. We are asking students to purchase a jeans pass for November 17th to help support this drive. November 21, 2016- November 22, 2016 – Pay a fee to play games with hula hoops and basketballs to support Haiti Relief. October 17, 2016 - As an SSND sponsored school, we at Holy Angels commit ourselves to put into action the spirit and vision of the School Sisters of Notre Dame. One way we do this is by joining with SSNDs throughout the world in supporting six United Nations international events. In commemoration of International Day for the Eradication of Poverty on October 17, Outreach sponsored a diaper drive to benefit the Center For Food Action in Englewood, NJ. Thank you to all who donated 2,776 packages of diapers were collected. During both lunch periods, students and faculty were invited to “stand up against poverty”. Students and faculty recited a pledge to work towards the eradication of poverty. Students and faculty were invited to sign a letters to the presidential candidates, in the name of the Holy Angels community, urging them to work toward the elimination of poverty in all its forms if they are elected. Each year, just as the harvest is finished in much of the world, Christians keep their own harvest feast – God’s harvest, the harvest of the Saints – on the first day of November. We begin this day on the holy vigil of All Saints, Halloween. We continue the harvest feast, on the day to remember the dead – November 2, All Souls – and on through the month of November. We pause to remember so that we won’t forget. Here at Holy Angels, we will have a Book of Remembrance in the Main Lobby of the school in which we will invite everyone in our community and visitors to our school to inscribe the names of deceased loved ones to be remembered in prayer. This year we will also have a digital picture frame displaying pictures of deceased loved ones. We invite those in our community to submit pictures (jpeg format, please) of their loved ones to ksylvester@holyangels.org or mmilosica@holangels.org to have them included. November 9, 2016 - Please keep the Sophomore Class in your prayers. On November 9, our Sophomore Class will participate in a social justice retreat focusing on the issue of hunger facilitated by seniors in Ms. Carol Fay’s Peacemaking Classes. The retreat will take place at the Archdiocesan Youth Retreat Center in Kearny.Bring a Turkey to School! November 15, 2016 - AHA will hold its annual Turkey Drive for the New Jersey Food bank. A freezer truck from the NJ Food Bank will be at our school at 7:15 a.m. So we invite our students to bring a Frozen Turkey to School! Spirit points will be awarded. November 18, 2016 - November 20, 2016 – Please pray for the Kairos team as they are hard at work preparing for the eighth Kairos Retreat offered at AHA. The Kairos Retreat will take place Friday, November 18, 2016 – Sunday, November 20, 2016 at the Archdiocesan Youth Retreat Center in Kearny, NJ. October 7th – Our 9th Graders will go on their retreat entitled “We Live in Community” at the Archdiocesan Youth Center in Kearny. The retreat will feature community building activities, prayer and reflection time. Trick-or- treat for UNICEF will be conducted in all homerooms by Outreach. Students may also come to the Campus Ministry office to pick up individual Trick-or-treat for UNICEF boxes. This year will be celebrated on Friday, September 30th. This is our first Liturgy of the school year, marking the 137th anniversary of the founding of our School by Sr. Nonna Dunphy. At this liturgy we will mandate 17 Eucharist Ministers for service at Holy Angels. Fr. Larry Evans II, pastor of St. Francis of Assisi Parish in Ridgefield Park, NJ will preside. Thank you to all who participated in Operation Rice Bowl 2016. We collected $2,248.15 that was donated to Catholic Relief Services. One quarter of the funds will go to feed the hungry right here in the Archdiocese of Newark. Special thanks go to our Outreach Club which sponsored and coordinated the drive. Thank you to all who participated in our drives to help the defray the transportation costs of busing students and faculty from St. Peter the Apostle School in Philadelphia, PA to AHA to participate in a Field Day. Through our efforts we raised over $800 to help with these costs. Baccalaureate Liturgy – June 2, 2016, 7 p.m.
Rev. Stephen Carey, pastor of St. Mary’s in Dumont, NJ will be the celebrant. All sophomores are reminded that their Community Service Commitment forms must be submitted to Campus Ministry for approval by June 1, 2016. Please stop by and see Mrs. Miloscia or Mrs. Sylvester if you have any questions. Class of 2019 – If you would like to complete your community service this summer remember to submit a Community Service Commitment Form to the Campus Ministry Office before you begin your service. If you decide on a volunteer opportunity over the summer, email a commitment form to Mrs. Sylvester (ksylsvester@holyangels.org) or Mrs. Miloscia (mmiloscia@holyangels.org) to receive approval. The required twenty hours of community service, reflection paper, and evaluation form must be completed by November 15 of Junior year. The summer is a good time to get this work done! Please review the guidelines for this process found on the Campus Ministry web page. June 26th – July 2nd – Ms. Fay and 3 students will partner with students from a sister school, Institute of Notre Dame in Baltimore for SSND Build. They will help to rebuild homes destroyed by Hurricane Sandy in Rockaway, NY. July 17th – July 22nd – AHA Faculty and 4 students, as of this newsletter , will participate in Work Camp 2016 sponsored by the Archdiocese of Newark Office of Youth and Young Adult Ministry. The students will work in different sites throughout the Archdiocese of Newark to provide community service. The sites include soup kitchens, schools, day care and day camps, food banks and homeless shelters. July 25th – July 27th – AHA Faculty and students (recruitment is still taking place at this time) will travel to our partner SSND school, St. Peter the Apostle in Philadelphia, PA to help the principal, S. Rose Federici, SSND and staff to prepare the school for the 2016-2017 school year. August 7th - August 13th – Mrs. Sylvester and 5 students will travel to Nazareth Farms in West Virginia. The students will serve with other students and neighbors to address substandard housing by providing home repair during this service-retreat experience. Throughout the year, Campus Ministry receives information about many volunteer opportunities. As we receive notices, we post them on our Haiku page (AHA Home-> ->Campus Ministry-> Service Opportunities). We also post them on the bulletin board outside our office. If you would like to do community service, please check the listings posted on Haiku or the bulletin board. Outreach and Campus Ministry thank everyone for their participation in Operation Rice Bowl this past Lenten Season. To date we have collected over $2,000. A final amount will be in the June Newsletter. Outreach and the Office of Concern Food Pantry in Englewood thank everyone who contributed to our cereal drive. Over 100 boxes of cereal were collected. All our seniors will all be going on retreat on Monday, May 16, 2016, at the Archdiocesan Youth Retreat Center in Kearny, NJ. This retreat will focus on looking back at our time at Holy Angels, and looking forward to the future, recognizing the gifts we have received and looking to the challenges ahead of us. Please keep the Senior Class in your prayers. Nazareth Farm is a Catholic community in rural West Virginia that transforms lives through a service-retreat experience. They are devoted to living out the Gospel message through the cornerstones of community, simplicity, prayer, and service. They serve alongside our neighbors to address substandard housing by providing home repair. They celebrate the richness of Appalachia and experience God by building relationships between their volunteers and the local community. Number of Students: 10 - 15 Chaperones: AHA Faculty Cost: $250 Description: Work Camp 2016 is a service immersion experience where teens will be experiencing various forms of service, hands on learning and more; all while helping to make a difference in our Archdiocese. Work sites will be various Archdiocesan parishes, schools and social service agencies around the 4 counties of the Newark Archdiocese. Trip details: Students will be responsible for arrival at the Archdiocesan Youth Center in Kearny, NJ onSunday, July 17th being picked up on Friday, July 22nd. This trip is open to rising sophomores, juniors and seniors. Preference will be given to rising sophomores and juniors as it will meet the community service graduation requirement. Students will travel to St. Peter the Apostle School in Philadelphia, PA, a partner SSND sponsored school, to help prepare the school for the 2016-2017school year. Students will depart from AHA at 8 a.m. on Monday and return to AHA by 6:30 p.m. on Wednesday. The cost for the trip is $125 and will fulfill the AHA Community Service Requirements. Permission Slips will be available by mid-May. All sophomores are reminded that their Community Service Commitment forms must be submitted to Campus Ministry and approved by June 1, 2016. Please stop by and see Mrs. Sylvester and Mrs. Miloscia if you have any questions. Remember the Community Service Requirement must be completed by November 15th of junior year. The requirement includes the Commitment Form, Evaluation Form and Reflection Paper. Ninth graders are reminded that if they want to do their service over the summer, they must submit a Commitment form for approval before you begin your service. We continued our participation in Operation Rice Bowl. As of March 18, 2016 we have collected just under $1,200.00 to be donated to Catholic Relief Services. Please remember to return any individual rice bowls to the Campus Ministry Office. Our annual reconciliation service took place on Monday, February 29th . Following the prayer service students had the opportunity for individual confessions. Our annual Easter Liturgy will be celebrated on Friday, April 8, 2016; our presider will be Rev. David Milliken, pastor of Ascension parish in New Milford, NJ. We are honored to have the grandparents join us at this Liturgy. AHA will be conducting a cereal drive for Office of Concern in Englewood, NJ from Monday, April 11 – Friday, April 15. The Office of Concern helps over 900 families in Bergen County each month. All cereal (hot or cold) may be brought to homeroom or left outside the Campus Ministry Office. AHA will be collecting pennies for St. Peter the Apostle School in Philadelphia, Monday, April 18 – Friday, April 22. All proceeds will be used for providing transportation for St. Peter’s faculty and students to AHA on Service Day to have a Field Day for the students. Which grade level will collect the most? Freshman: You heard a presentation on Community Service during your religion class. 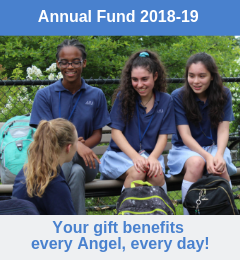 As a reminder, if you would like to complete your service during the summer, you must submit a commitment form to Campus Ministry for approval prior to your leaving for summer vacation, or email Mrs. Sylvester at ksylvester@holyangels.org or Mrs. Miloscia at mmiloscia@holyangels.org during the summer. Help us stock our greenhouse with vegetable seeds and soil. Food grown will be donated to area food pantries and the FoodBank of NJ! We will have our planting on Saturday, March 19 from 10 a.m. to 2 p.m. Seed donations can be brought to homerooms and put in the "pots" or left outside of Campus Ministry. The seed drive will run from March 7 – 11. Cry Jubilee Because Love Cannot Wait! Description: Nazareth Farm is a Catholic community in rural West Virginia that transformslives through a service-retreat experience. They are devoted to living out theGospel message through the cornerstones of community, simplicity, prayer, andservice. They serve alongside our neighbors to address substandard housing by providing home repair. They celebrate the richness of Appalachia and experience God by building relationships between their volunteers and the local community. Thank you to all who contributed to our 2nd annual Souper Bowl. We were able to donate over 250 cans of soup to the Center for Food Action in Englewood, NJ. Freshmen – We will discuss AHA Community Service graduation requirement with you during the next few months. At that time you will learn all about the AHA Community Service graduation requirement and we will answer any questions that you may have. Juniors will be participating in a peer led class retreat; “Follow the Star in Your Heart” based on SSND leadership qualities on Friday, March 4th. Please keep them in your prayers. Mardi-Gras Bake Sale & Carnivale - On Tuesday, February 9, 2016 to kick off our Operation Rice Bowl drive, Outreach and the Italian Club sponsored a Bake Sale and Sandwich Sale during both lunches. We raised over $320.00 to start our Operation Rice Bowl drive. Operation Rice Bowl will continue until March 23rd . Last year we raised over $3,000 through Operation Rice Bowl. To help kick off our Lenten Season, which begins on Ash Wednesday, February 10th , Outreach will sponsor a Mardi-Gras Bake Sale during both lunches. Italian Club will also sell Italian Subs and cannoli to celebrate Carnevale. Come and have some fun, and purchase a sub or baked good. All proceeds will go towards Operation Rice Bowl. We will again be participating in the Catholic Relief Services’ “Operation Rice Bowl.” For over 40 years, Operation Rice Bowl has called participants to pray with their families and faith communities; fast in solidarity with those who hunger; learn about our global community and the challenges of poverty overseas, and give sacrificial contributions to those in need. This year’s theme is “For Lent For Life.” Each week will focus on a country that will be aided by Operation Rice Bowl and a Principle of Catholic Social Teaching. This year the countries being highlighted are: Columbia, Laos, Rwanda, Honduras, and Madagascar as well as the Archdiocese of Louisville. The Principles that will be highlighted are Option for the Poor, Rights and Responsibilities, Sacredness and Dignity of the Human Person, Call to Family, Community and Participation, Care for Creation and Global Solidarity. Every Friday in Lent at Holy Angels is fast day. We invite our school community to fast in solidarity with those who suffer from poverty and hunger in our global family. Donation boxes will be set up in the Student Commons to donate the money that would have been spent on a dessert or treat. We invite you as a family to join us in prayer, fasting and giving alms throughout Lent by participating with us in Operation Rice Bowl. All students will receive a rice bowl to bring home to collect donations throughout Lent. Boxes should be returned to their religion teachers or the Campus Ministry Office after Easter. Thank you for your prayers we had a successful Kairos VII Retreat on February 5th - 7th. Our annual reconciliation service will take place on Monday, February 29, 2016. Following the prayer service students will have the opportunity for individual confessions. Juniors: By now you should be well on the way to completing your service projects. If for some reason you changed projects over the summer you must submit a new Community Service Commitment Form. In addition, an Evaluation form for your work must also be submitted. (See the Campus Ministry page on Haiku for detailed information). 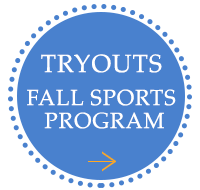 The reflection paper and all paperwork must be submitted by November 16, 2015. Come see Mrs. Sylvester or Mrs. Miloscia in the Campus Ministry office if you have any questions. Sophomores: You should be thinking about what you might like to do for your community service projects, and submit the Community Service Commitment to the Campus Ministry office for approval. If you have questions or would like help deciding on a project, stop by the Campus Ministry Office and speak with Mrs. Sylvester or Mrs. Miloscia. Commitment forms will be due on June 1, 2016. Throughout the year, Campus Ministry receives information about many volunteer opportunities. As we receive notices, we post them on our Haiku page (AHA Home-> Campus Ministry-> Service Opportunities->). We also post them on the bulletin board outside our office. If you would like to do community service, please check the listings posted on Haiku or the bulletin board. On February 1st we will kick off Catholic Schools Week with a Liturgy at 9:20 a.m. Rev. John McCrone, pastor of St. Paul’s Church in Ramsey, NJ will preside. We will be conducting our own Souper Bowl here at AHA. All students, faculty and staff are asked to bring in canned soup during the week leading up to Super Bowl. All soup will be donated to the Office of Concern in Englewood, NJ. Stay tuned to see who will be the Souper Bowl Champion at AHA. OPERATION SMILE will conduct a drive to make Smile Bags. Smile bags are presented to children after their cleft lip/ palette surgery. The mirrors will reflect their new smile for the first time. This winter Mrs. Kraytem and two students will participate in an Operation Smile Mission. Please pray for the Kairos team as they are hard at work preparing for the seventh Kairos Retreat offered at AHA. The Kairos Retreat will take place Friday, February 5, 2016 – Sunday, February 7, 2016 at the Archdiocesan Youth Center in Kearny, NJ. Every Friday in Lent at Holy Angels is fast day. We invite our school community to fast in solidarity with those who suffer from poverty and hunger in our global family. Donation boxes will be set up in the Student Commons. We invite you as a family to join us in prayer, fasting and giving alms throughout Lent by participating with us in Operation Rice Bowl. All students will receive a rice bowl to bring home to collect donations throughout Lent. Boxes should be returned to their religion teachers or the Campus Ministry Office after Easter. Thank you to everyone who participated in the November and December Collections! Thanksgiving Collection – This year we collected over $2,000 to send to S. Judy Bourg, SSND who works in Douglas, Arizona at the Douglas/Aqua Prieta Mission. The nuns working there are starting a Carpentry Workshop to help give the migrants a skill they can use to find work. Our donations will allow them to purchase the tools they need for this workshop. Thank you to all who made this drive a success. Christmas Collection – We collected 24 Target gift cards and enough money to allow The Office of Concern to purchase 43 more gift cards. The gift cards were distributed to the clients of the Office of Concern to purchase Christmas gifts for their children. The Office of Concern has a great need this year since the number of families that are assisted has risen to 900 families. Thank you for helping to make a Merry Christmas for these families. The School Community will gather to celebrate the Christmas Season by celebrating the Feast of Epiphany. Rev. William Cosgrove, pastor of The Church of St. Augustine in New City, NY will preside. This celebration will be followed by the annual blessings of the Classrooms by our Administrative team. On February 1st we will kick off Catholic Schools Week with a Liturgy at 9:20 a.m. Please pray for the Kairos team as they are hard at work preparing for the seventh Kairos Retreat offered at AHA. The Kairos Retreat will take place Friday, February 5, 2016 – Sunday, February 7, 2016 at the Youth Retreat Center in Kearny. Fall Food Drive: Over 20 boxes of items were donated to the Office of Concern in Englewood. The need is great since the Office of Concern now assists 900 families up from 600 families last year. Outreach will sponsor a bake sale to raise funds for Nazareth Farm's annual Christmas gathering for the poor of Applachia. Watch the weekly email for dates for our efforts to raise funds to purchase Target $10 gift cards for the Office of Concern's Christmas Drive. On November 30 the AHA school community gathered in prayer to mark the beginning of Advent. We reflected on Mary and her "waiting in hope." We are challenged to be like Mary, God - bearers for our world. We encourage all members of our community not to overlook the beauty and peace of the Advent season in the rush of Christmas. We will gather to celebrate the beginning of the Jubilee Year of Mercy which will be formally proclaimed by Pope Francis on December 8, 2015. Each year, just as the harvest is finished in much of the world, Christians keep their own harvest feast – God’s harvest, the harvest of the Saints – on the first day of November. We begin this day on the holy vigil of All Saints, Halloween. We continue the harvest feast, on the day to remember the dead – November 2, All Souls – and on through the month of November. We pause to remember so that we won’t forget. Here at Holy Angels, we will have a Book of Remembrance in the Main Lobby of the school in which we will invite everyone in our community and visitors to our school to inscribe the names of deceased loved ones to be remembered in prayer. This year we will also have a digital picture frame displaying pictures of deceased loved ones. Students are also invited to submit digital photos to Mrs. Miloscia or Mrs. Sylvester. Our Sophomore Class will participate in a social justice retreat focusing on the issue of hunger. The retreat will take place at the Archdiocesan Youth Retreat Center in Kearny. AHA will hold its annual Turkey Drive for the New Jersey Food bank. A freezer truck from the NJ Food Bank will be at our school at 7:15 a.m. — So we invite our students to bring a Frozen Turkey to School! Spirit points will be awarded. We will have our annual Thanksgiving Collection—we continue our tradition of supporting an SSND sponsored program. Our Thanksgiving Drive this year will assist the work of an SSND mission on the US/Mexico border in Douglas, Arizona. Thanksgiving Jeans Pass on Thursday, November 19, 2015 will raise money for the SSND sisters that Carol Fay and 3 students visited last February. The sisters dream is to offer skill training for migrants who seek help from them on their journey back to their homes after being deported. They are in need of tools and even a small table saw to accomplish this. We encourage students to purchase a jeans pass for $3 (or more if they like) for November 19 to support this effort. Collections for the jeans pass will be taken in homeroom on Monday, November 16, 2015 - Wednesday, November 19, 2015. Please pray for the Kairos team as they are hard at work preparing for the sixth Kairos Retreat offered at AHA. The Kairos Retreat will take place at the Archdiocesan Youth Retreat Center in Kearny, NJ. 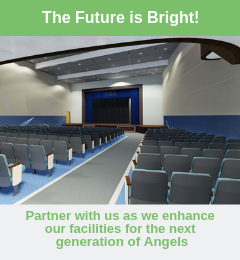 As an SSND sponsored school, we at Holy Angels commit ourselves to put into action the spirit and vision of the School Sisters of Notre Dame. One way we do this is by joining with SSNDs throughout the world in supporting six United Nations international events. In commemoration of International Day for the Eradication of Poverty on October 17, which was celebrated here at Holy Angels on Monday, October 19, Outreach sponsored a diaper drive to benefit the Office of Concern in Englewood, NJ. Thank you to all who donated, over 45 packages of diapers were collected. During both lunch periods, students and faculty were invited to “stand up against poverty”. Students and faculty recited a pledge to work towards the eradication of poverty. Students and faculty were invited to sign a letter to local senators, in the name of the Holy Angels community, urging them to work toward the Global Food Security Act of 2015. This initiative can help eliminate global poverty, hunger and malnutrition in developing countries and enhance food security. This is our first Liturgy of the school year, marking the 136th anniversary of the founding of our School by Sr. Nonna Dunphy. It will also kick off our Jubilee Year – celebrating 50 years on the Demarest Campus. At this liturgy we will mandate 17 Eucharist Ministers for service at Holy Angels. Archbishop Hebda, co-adjucator of the Archdiocese of Newark will preside of St. Paul Parish in Ramsey will preside. Our 9th Graders will go on their retreat entitled "We Live in Community" at the Don Bosco Retreat Center in Stony Point, New York. The retreat will feature community building activities, prayer, and reflection time. The UN International Day for the Eradication of Poverty is a day observed in the SSND community. Since government programs like the Supplemental Nutrition Assistance Program (SNAP) and Women, Infants, and Children (WIC) don't cover the purchase of diapers many families cannot afford to buy disposable diapers or they are forced to reuse diapers. Therefore Outreach will sponsor a drive for National Diaper Bank Network. Trick-or-Treat for UNICEF will be conducted in all homerooms by Outreach. Students may also come to the Campus Ministry office to pick up individual Trick-or-Treat for UNICEF boxes. Sophomores: You should be thinking about what you might like to do for your community service projects, and submit the Community Service Commitment to the Campus Ministry office for approval. If you have questions or would like help deciding on a project, stop by the Campus Ministry Office and speak with Mrs. Sylvester or Mrs. Miloscia. Commitment forms will be due by the last day of the 4th quarter. June 4, 2015, 7 p.m.
Msgr. John O’Keefe, pastor of St. Margaret Church in Pearl River, NY will be the celebrant. All sophomores are reminded that their Community Service Commitment forms must be submitted to Campus Ministry for approval by June 1, 2015. Please stop by and see Mrs. Miloscia or Mrs. Sylvester if you have any questions. Along with our prayer cards with intentions for Nepal, a jeans pass was held to assist Catholic Relief Service and their efforts in Nepal. Thank you to everyone who contributed. A check in the amount of $1,336.05 was donated to CRS for their relief efforts in Nepal. In light of the recent unrest in Baltimore, MD the students, faculty and staff wanted to show their concern and support for the SSND sponsored institutions in Baltimore. All students, during their religion classes, were asked to write words of encouragement and support to students, faculty and staff at Institute of Notre Dame and to the women of Caroline Center on cards with Guardian Angels pins. The faculty were also invited to participate. Over 500 pins were sent to IND and Caroline Center. On Friday, May 8, 2015 Outreach will be sponsoring a jeans pass for those affected by the Earthquake in Nepal. All money collected will be donated to Catholic Relief Services or to the SSND sisters working in Nepal. Outreach and Campus Ministry thank everyone for their participation in Operation Rice Bowl this past Lenten Season. We collected over $3047.57. Outreach and the Office of Concern Food Pantry in Englewood thank everyone who contributed to our cereal drive. Over 90 boxes of cereal were collected. Senior retreat will be on Wednesday, May 20, 2015, at the Archdiocesan Youth Retreat Center in Kearny, NJ. This retreat will focus on looking back at our time at Holy Angels, and looking forward to the future, recognizing the gifts we have received and looking to the challenges ahead of us. Please keep the Senior Class in your prayers. St. Peter the Apostle School in Philadelphia, PA - Monday, July 27, 2014 – Wednesday, July 31, 2015. Students will travel to St. Peter the Apostle School in Philadelphia, PA, a partner SSND sponsored school, to help prepare the school for the 2015-2016 school year. Students will depart from AHA at 8 a.m. on Monday and return to AHA by 6:30 p.m. on Wednesday. The cost for the trip is $125 and will fulfill the AHA Community Service Requirement. There are a few spots still available. See Mrs. Sylvester in the Campus Ministry Office to pick up a permission slip or with any questions. All sophomores are reminded that their Community Service Commitment forms must be submitted to Campus Ministry and approved by June 1, 2015. Please stop by and see Mrs. Sylvester and Mrs. Miloscia if you have any questions. Remember the Community Service Requirement must be completed by November 15th of junior year. The requirement includes the Commitment Form, Evaluation Form and Reflection Paper. Freshman – You heard a presentation on Community Service during Awareness Day. As a reminder, if you would like to complete your service during the summer, you must submit a commitment form to Campus Ministry for approval prior to summer vacation, or email Mrs. Sylvester at ksylvester@holyangels.org or Mrs. Miloscia at mmiloscia@holyangels.org during the summer. Every Friday in Lent at Holy Angels is fast day. We invite our school community to fast in solidarity with those who suffer from poverty and hunger in our global family. Donation boxes are set up in the Student Commons. We invite you as a family to join us in prayer, fasting and giving alms throughout Lent by participating with us in Operation Rice Bowl. All students received a rice bowl to bring home to collect donations throughout Lent. Boxes should be returned to their religion teachers or the Campus Ministry Office after Easter. Our Mardi Gras Bake Sale and Italian Club Sandwich Sale which was held on Thursday, February 12 raised 235.26 to kick off our Operation Rice Bowl collections. The sale and the first few weeks of collections have provided us with almost $1,000.00 to be donated to CRS. Our donation last year was over $3,700. Our annual reconciliation service took place on Monday, March 23rd. Following the prayer service students had the opportunity for individual confessions. Our annual Easter Liturgy will be celebrated on Thursday, April 16, 2015; our presider will be Rev. Lawrence Evans II, pastor of St. Francis of Assisi parish in Ridgefield Park, NJ. We are honored to have the grandparents join us at this Liturgy. Catholic Schools Week – February 2 – February 6, 2015. On February 2nd we will kick off Catholic Schools Week with a Liturgy at 9:20 a.m. Rev. David W. Miliken, pastor of Ascension Parish in New Milford, NJ will preside. Kairos V – Please pray for the Kairos team as they are hard at work preparing for the fifth Kairos Retreat offered at AHA. The Kairos Retreat will take place Friday, February 6, 2015 – Sunday, February 8, 2015 at Don Bosco Retreat Center in Stony Point, NY. Thursday, February 12th – to help kick off our Lenten Season, which begins on Wednesday, February 18 (during our Winter Break) Outreach will sponsor a Mardi-Gras Bake Sale during lunchtime. Italian Club will also sell Italian Subs and Cannoli to celebrate Carnivale. Come and have some fun, and purchase a sub or baked good. All proceeds will go towards Operation Rice Bowl. Our annual reconciliation service will take place on March 23rd. Following the prayer service students will have the opportunity for individual confessions. This year we collected over $4,900.00 to send to S. Cathy Arata, SSND who works with other religious communities for Solidarity with South Sudan. S. Cathy came to speak to us in November and the AHA community pledged to send 35 students to school in South Africa. The cost to send one student to school for a year is $100.00. Angels Over Africa started the donations with a $500.00 check. Thanks to the generosity of an anonymous donor, Angels Over Africa and the faculty, staff and students of AHA, we were able to send 54 students to school for a year. Thank you for your generosity. Our Christmas Toy Drive was conducted during the first two weeks of December to benefit the Office of Concern in Englewood. Over 20 boxes of toys were collected and the toys filled the van from the Office of Concern. The Office of Concern has a great need this year since the number of families that are assisted has risen to 900 families. Thank you for helping to make a Merry Christmas for these families. The School Community will gather to celebrate the Christmas Season by celebrating the Feast of Epiphany. Rev. Dominic G. Ciriaco, pastor of St. Mary’s Church in Dumont, NJ will preside. This celebration will be followed by the annual blessings of the Classrooms by our Administrative team. AHA will conduct its own Souper Bowl this week. All students will be asked to bring in cans of soup to benefit the Office of Concern in Englewood, NJ. On February 2nd we will kick off Catholic Schools Week with a Liturgy at 9:20 am. Please pray for the Kairos team as they are hard at work preparing for the fifth Kairos Retreat offered at AHA. The Kairos Retreat will take place at the Don Bosco Retreat Center in Stony Point, NY. Thank you to everyone who participated in our October and November Collections. Fall Food Drive – Over 800 items were donated to the Office of Concern in Englewood. The need is great since the Office of Concern now assists 900 families up from 600 families last year. Turkey Drive – 195 turkeys were donated to the NJ FoodBank. To benefit the Office of Concern in Englewood, New Jersey. 9th graders are asked to bring in toys for infants and toddlers. Sophomores are asked to bring in toys for 4-8 year olds. Juniors are asked to bring in toys for 9-12 year olds. Seniors are asked to bring in toys for 13-16 year olds. Donated toys must be unwrapped and will be collected in homerooms and outside the Campus Ministry Office. On December 1st the AHA school community will gather in prayer to mark the beginning of Advent. We encourage all members of our community not to overlook the beauty and peace of the Advent season in the rush of Christmas. As an SSND sponsored school, we at Holy Angels commit ourselves to put into action the spirit and vision of the School Sisters of Notre Dame. One way we do this is by joining with SSNDs throughout the world in supporting six United Nations international events. In commemoration of International Day for the Eradication of Poverty on October 17, Outreach sponsored a diaper drive to benefit the Office of Concern in Englewood, NJ. Thank you to all who donated, over 2,500 diapers were collected. During both lunch periods, students were invited by the Just Angels to “stand up against poverty”. Students recited a pledge to work towards the eradication of poverty. Students were invited to sign a letter to local senators, in the name of the Holy Angels community, urging them to work toward the Food for Peace Act which is awaiting action of the Senate. AHA will hold its annual Turkey Drive for the New Jersey Food bank. A freezer truck from the NJ Food Bank will be at our school at 7:15 a.m. We invite our students to Bring a Frozen Turkey to School! Spirit points will be awarded. Our Sophomore Class will participate in a social justice retreat, “Everyone Counts” during which they will focus on the experiences and needs of Africa thus building solidarity with the people of this continent. We will have our annual Thanksgiving Collection— we continue our tradition of supporting an SSND sponsored program. Our Thanksgiving Drive this year will assist the work of S. Cathy Arata, SSND and Solidarity with South Sudan. S. Cathy will visit AHA on Tuesday, November 4 to discuss with the students her work in South Sudan. We are asking students to purchase a jeans pass for November 20th to help support this drive. Juniors: By now you should be well on the way to completing your service projects. If for some reason you changed projects over the summer you must submit a new Community Service Commitment Form. In addition, an Evaluation form for your work must also be submitted. (See the Campus Ministry page on Haiku for detailed information). The reflection paper and all paperwork must be submitted by November 17th. Sophomores: You should be thinking about what you might like to do for your community service projects, and submit the Community Service Commitment to the Campus Ministry office for approval. If you have questions or would like help deciding on a project, stop by the Campus Ministry Office and speak with Mrs. Sylvester or Mrs. Miloscia. Commitment forms will be due at the end of this school year. October 2 – Feast Day Liturgy and Installation of Eucharistic Ministers. This is our first Liturgy of the school year, marking the 135th anniversary of the founding of our School by Sr. Nonna Dunphy. Rev. John McCrone, pastor of St. Paul Parish in Ramsey will preside. October 10th – Our 9th Graders will go on their retreat entitled “We Live in Community" at the Don Bosco Retreat Center in Stony Point, New York. The retreat will feature community building activities, prayer and reflection time. October 17th is the UN International Day for the Eradication of Poverty and a day observed in the SSND community. Since government programs like the Supplemental Nutrition Assistance Program (SNAP) and Women, Infants, and Children (WIC) don't cover the purchase of diapers many families cannot afford to buy disposable diapers or they are forced to reuse diapers. Therefore Outreach will sponsor a drive for National Diaper Bank Network. We will be collecting diapers from Tuesday, October 14- Friday, October 17. October 27 – 31 – Trick-or- treat for UNICEF will be conducted in all homerooms by Outreach. Students may also come to the Campus Ministry office to pick up individual Trick-or-treat for UNICEF boxes. Juniors: By now you should be well on the way to completing your service projects. If for some reason you changed projects over the summer you must submit a new Community Service Commitment Form. In addition, an Evaluation form for your work must also be submitted. (See the Campus Ministry page on Haiku for detailed information). The reflection paper and all paperwork must be submitted by November 17, 2014. Come see Mrs. Sylvester or Mrs. Miloscia in the Campus Ministry office if you have any questions.